It doesn’t take a neutral observer to determine that Ole Gunnar Solskjaer is aching to set things straight at Manchester United once the new season rolls about. However, before that happens, his side must maneuver through this season first, ensuring that a Champions League qualification doesn’t miss them. In that process, the Norwegian gaffer will also be keen on ensuring that some key players remain a part of the squad come summer, while deadwood and talents that are surplus to the requirement are almost certain to be shown the back door. In the light of all that, it is interesting to note that one player may not comply with the club’s attempt to keep him. According to Forbes, Ander Herrera has rejected Manchester United’s effort to extend his contract one last time. The English giants reportedly offered the Spaniard a deal worth well over £200,000-a-week. However, Herrera refused this advance. The speculation seems strong that the midfielder will join PSG on a free transfer in the summer, when his contract with United expires. The French giants have undoubtedly offered him a much more lucrative deal. 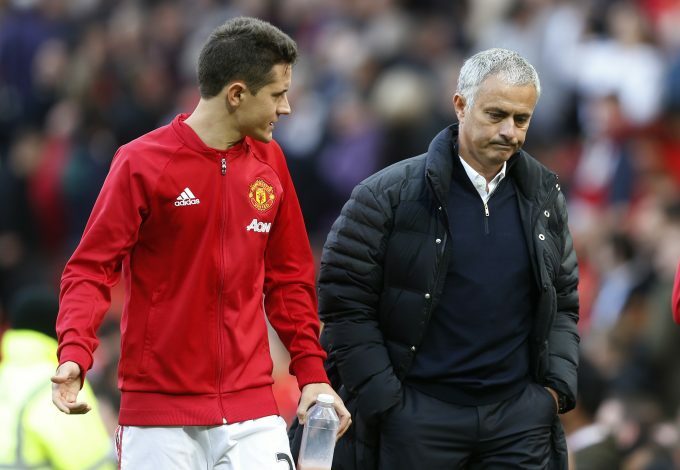 The report also states that Herrera had demanded wages closer to the £300,000-a-week mark, a sum that would be quite close to the problematic package that Alexis Sanchez also makes at United. This development is certainly in contradiction with prior claims which seemed to indicate that it was United who were uninterested in handing over such a large wage package to the Spaniard, with that figure being within the £200,000-a-week mark. It certainly does seem bizarre for Herrera to be holding out on a bigger deal. Regardless, it seems certain that the prowess and creativity he brings to the midfield will be enormously missed at Old Trafford.